When adding text to your fundraising page, you can just type regular text (separate paragraphs with a blank line). 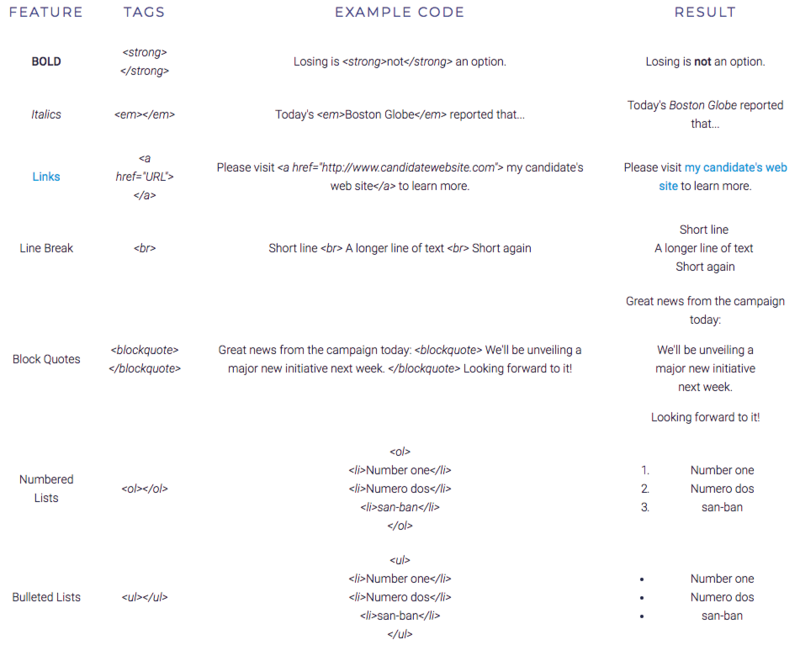 But if you want to use bold, italics, bulleted lists, etc., this formatting guide will show you how. We only allow limited HTML on our forms, so keep it simple! To indicate that a set of words should be formatted in a specific way, use HTML tags, which are just simple commands enclosed in < >'s. In most cases, you'll need to enclose a set of words inside a pair of tags, which indicate the beginning and ending of the text to be formatted. The simplest way to explain it is by way of example, which we've provided below.